1 Learn more about current and upcoming modern slavery laws around the world. 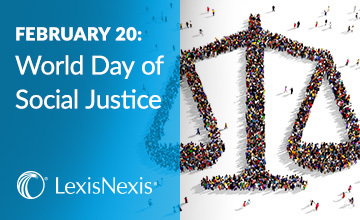 2 Share this blog with your colleagues on LinkedIn to spread awareness of UN World Day of Social Justice. 3 Explore how LexisNexis® due diligence and monitoring technology empower corporate social responsibility efforts.